Starbucksmay be trying out life as more than just a chain coffeeshop but that doesn't mean the company is abandoning the ways of Alfred Peet. In July the coffee giant introduced its cusotmers to free Wi-Fi service at its Bay Area and national locations. 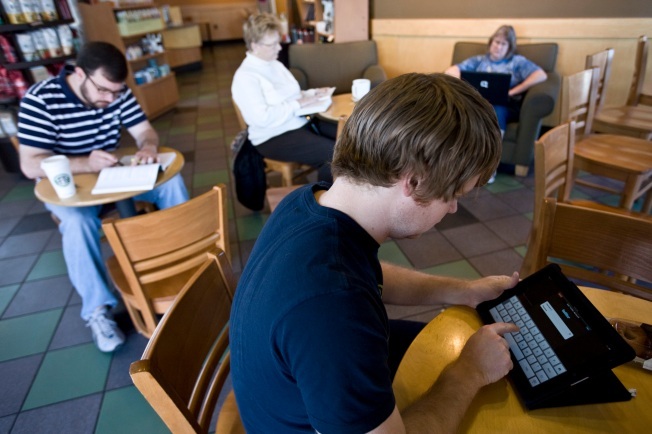 But Wednesday, Starbucks Wi-Fi users will be greeted with the Starbucks Digital Network when the log on. The network will provide access to free content such as The Wall Street Journal, USA Today and The New York Times. But there is more. Mashable reports that the network is built around six channels: News, Entertainment, Wellness, Business and Careers, My Neighborhood and the customer-personalized Starbucks channel. Beyond newspapers, latte sippers will be able to read full books, read entire magazines or use a free version of LinkedIn's job search function. Starbucks’s Vice President of Digital Ventures Adam Brotman sat down with Mashable to talk about the service. Some of his answers are quite interesting. Check out the full interview on their site.